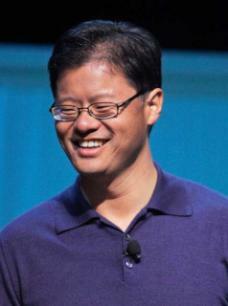 Finally, Jerry Yang CEO and Chief of Yahoo Inc. is stepping down from the CEO post. Yahoo announced that Yang intended to let go of his CEO duties as soon as the company finds his successor. Yahoo has employed the services of Heidrick & Struggles to find the new CEO. Jerry Yang’s move to relinquish his post is voluntary and unsurprising. Although Yang’s leadership since taking the CEO position in June 2007 has ultimately lead Yahoo to its poor state today. Yang wanted to keep the company independent at any cost. Nevertheless, Yang’s stint as CEO has kept Yahoo alive, independent and working. "From founding this company to guiding its growth into a trusted global brand that is indispensable to millions of people, I have always sought to do what is best for our franchise," said Jerry Yang. "When the Board asked me to become CEO and lead the transformation of the Company, I did so because it was important to re-envision the business for a different era to drive more effective growth. Having set Yahoo! on a new, more open path, the time is right for me to transition the CEO role and our global talent to a new leader. I will continue to focus on global strategy and to do everything I can to help Yahoo! realize its full potential and enhance its leading culture of technology and product excellence and innovation." Yang will return to his original position as Chief Yahoo and remain on the Board of directors. Chairman of the Board Roy Bostock will be working with the independent directors, including Yang to select the next CEO of the company. The services of recruitment firm Heidrick & Struggles will be retained to filter both internal and external candidates. "Over the past year and a half, despite extraordinary challenges and distractions, Jerry Yang has led the repositioning of Yahoo! on an open platform model as well as the improved alignment of costs and revenues," said Roy Bostock. "Jerry and the Board had an ongoing dialogue about succession timing, and we all agree that now is the right time to make the transition to a new CEO who can take the company to the next level. We are deeply grateful to Jerry for his many contributions as CEO over the past 18 months, and we are pleased that he plans to stay actively involved at Yahoo! as a key executive and member of the Board."